План - конспект открытого урока в 7 классе по УМК М.З. Биболетовой и др. "Enjoy English"
задания и излагать результаты работы. — развивающий аспект: развивать творческие способности учащихся. — воспитательный аспект: развивать умение учащихся работать в команде. 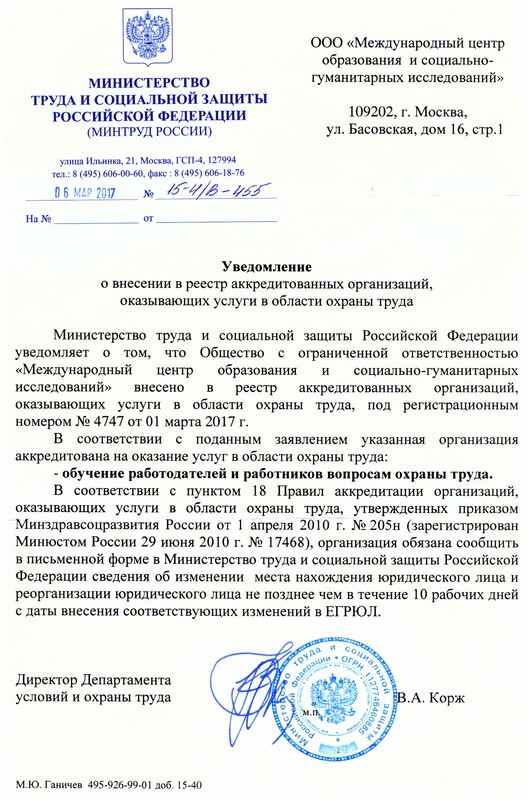 Организация класса. Приветствие. Сообщение основной задачи урока. Hello, friends. How are you today? – Fine, thanks. And you? – I’m OK. Friends, we are going to design a perfect school for our town. Are you ready? Аудирование стихотворения “School Days” и беседа с учащимися по содержанию прослушанного. Do you agree that school is a very important thing for every student? What are the advantages/disadvantages of school life? Were your parents happy at school? Т: Some students have made a film for us. It’s a pity, they haven’t got enough time to sound track it. Watch the video and tell your classmates about your school. Our school is neither old nor new. It is made of grey stone. It is a 3-storey building situated in the centre of our town. This is our playground. Look! They are playing football. Goal! That’s it. Now we are in the hall. There is a cloak-room on the left and the Head’s room on the right. Our secretary. She helps the Head with documents. On the walls you can see some interesting stands: Students’ Rules, Timetable, The Best Students of Our School. for boys where they learn how to work with different tools. Girls are cooking dinner in this room. It looks very tasty. On the first floor one can see a library, a dining room and our gym. The workers are painting walls in the gym. Great! Soon we’ll have Physical Training lessons here. The Teachers’ Room is on the right. Our class teacher and Biology teacher are discussing their problems. This is our Information Technology room. Now it has 10 modern computers. And our History room is also well-equipped, isn’t it? Biology, Russian, Maths and Chemistry. Our Biology and Chemistry classes are very interesting because we learn a lot of new things and do experiments. and my teachers, I enjoy school life and friendship. Т: Do you think your school is perfect? – Well, I can’t say it is a perfect one. T: I hope there will be a perfect school in our town in ten years. Let’s design it together. At first we should choose the place for our new school. Учащиеся просматривают слайд-шоу и выбирают место для будущей школы. I think it will be situated in the central area / it will face the square / it will be situated near the pond. На этом этапе класс делится на группы, учащимся предлагается прочитать несколько коротких текстов из учебника и выполнить задания, индивидуальные для каждой группы. Т: Work in groups. Think of perfect school. Write down words and expressions in accordance with the task. Share your ideas with other students. Say what you want from school. Первая группа выписывает из текстов слова и словосочетания, которые помогут рассказать о том, каким будет здание идеальной школы. Вторая группа – лексику по теме «Школьная жизнь». Третья группа – лексику, которая может быть полезна для описания взаимоотношений между учителями и учениками. Таким образом, каждая из групп создает для себя Language Support. ключевые слова, остальные слушают и дополняют их рассказы. Group 1. I think my new school will face the central square. It will be a brightly decorated building, light and comfortable inside. On the ground floor we’ll have a winter garden with a lot of exotic plants. Pupils on duty will take care of the plants. Rooms for different subjects will be well-equipped and have plenty of air and light. Students will get to school by school bus. My school will have a sports ground for developing students’ interest in sports. One will go in for tennis, athletics, football, basketball, etc. are useless and boring. I prefer the subjects that prepare us for the life outside school. shouldn’t worry about tests and marks: if they don’t know much – it’s their personal business. Group 3. My perfect school is much like the school I study in. But I’d like our teachers and students treat each other with more respect. Perfect school is a place where students are allowed to speak freely about their problems in school or at home. The rules in the school should be democratic: neither strict nor too free. I’d like to have kind and experienced teachers who can develop your mind and imagination. No punishment in perfect school! No school uniform and special haircuts! It would be also nice to have a school newspaper and school radio. The radio can be used not only for reporting news but also for the concerts prepared by the most talented students. Менее подготовленным ученикам предлагается заполнить WORD WEB “PERFECT SCHOOL”, используя карточки с записанными словами и словосочетаниями. Подведение итогов урока. При подведении итогов отмечались наиболее удачные ответы, поощряются ученики, подготовившие видеосюжет и слайд-шоу и активно участвовавшие в уроке. 4 из присутствующих учеников получили отметку «5», работа 6 учащихся оценена на «4», 3 ребят получили отметку «3». На уроке присутствовало 13 учащихся. В ходе работы наблюдалась активность всех учащихся. Поскольку урок являлся продолжением предыдущего, на котором шла речь о школьной жизни сверстников из Америки, Великобритании, Канады и Австралии, затруднений у учеников этого класса не было. Грамматика на уроке рассматривалась в речевом контексте с акцентом на употребление глагольных форм активного и пассивного залога Present/Future Simple, а также конструкций с would/should. Детям была предоставлена возможность выбирать партнеров для работы в группах. Интересно, что совместная работа объединила даже тех, кто ранее не симпатизировал друг другу. Каждый старался показать свои лучшие качества. Особый интерес вызвал этап урока, на котором учащиеся озвучивали фильм. Поскольку здание и оснащенность школы далеки от совершенства, дети с большим желанием старались представить школу будущего. Переключение учащихся на предмет. Приветствие. Hello, friends. How are you today? I’m fine, thank you. Let’s start our lesson. Friends, we are going to design a perfect school for our town. Are you ready? It’s a nice poem, isn’t it? Will you answer your classmate’s questions, please? Some students have made a film for us. It’s a pity, they haven’t got enough time to sound-track it. Watch the video and tell your classmates about your school. Use the expressions on the board. Do you think your school is perfect? I hope there will be a perfect school in our town in ten years. Let’s design it together. First, we should choose the place for our new school. Просматривают слайд-шоу и выбирают место для будущей школы. Work in groups. Think of perfect school. Write down words and expressions in accordance with the task. Share your ideas with other students. Say what you want from school. You are welcome with your stories, friends. On your desks you’ve got 3 circles: green, yellow and purple. Отмечаются удачные ответы и дополнения к ним, поощряются учащиеся, подготовив-шие слайд-шоу и видеосюжет.